Millie P's Totes are for sale...... Purchase your MPQ Tote for $25 - every time you use it to bring your purchases home in, you qualify for a weekly fat quarter drawing. 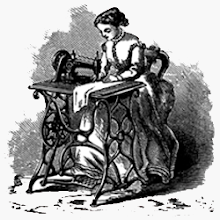 Bring us your quilt and we will help you choose your stitching design and thread color. We now carry Urban Elementz Appliques in store and online. Urban Elementz will adhere to fabric, wood, paper, metal, canvas and more; giving your projects endless possibilities ! 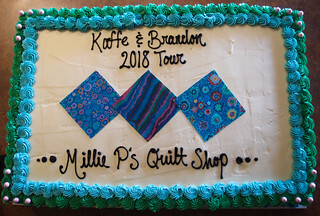 A Visit To Millie P's... "I knew there was something special about Millie P’s Quilt Shop in Anoka the first time I stepped foot inside the door.